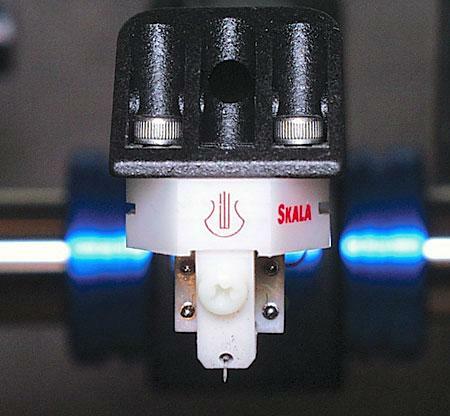 An enduringly healthy phono-cartridge industry? After a quarter of a century of rushing right out to buy the latest digital music appliances? You bet. The audio industry may have lost a legend and a prolific innovator in Henry Kloss a few years back, but it still has another affable, creative eccentric in Peter Ledermann. In the mid-1970s, Ledermann was director of engineering at Bozak, where, with Rudy Bozak, he helped develop a miniature bookshelf speaker and a miniature powered subwoofer. Before that, Ledermann was a design engineer at RAM Audio Systems, working with Richard Majestic on the designs of everything from high-power, minimal-feedback power amplifiers and preamplifiers to phono cartridge systems. He was also an award-winning senior research engineer at IBM, and the primary inventor of 11 IBM patents. 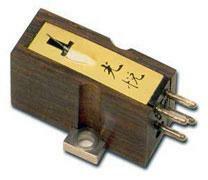 In 1962, when tennis rackets were made of wood, newspeople were known for challenging the government, and the off-Broadway musical The Fantasticks was in its second year (the show closed in 2002), Nippon Columbia's Denki Onkyo (or Den-On) division introduced to the professional audio world a brand-new moving-coil phono cartridge. 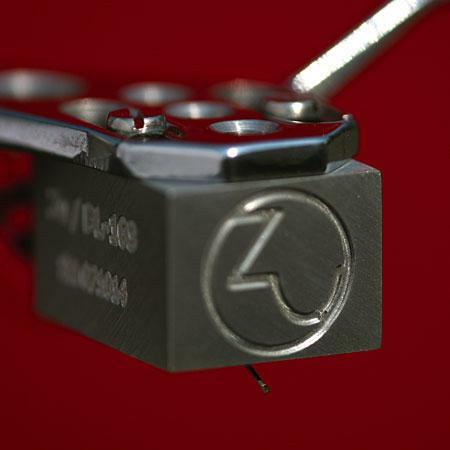 Developed in cooperation with the Japan Broadcasting Corporation, the DL-103 was one of the first attempts at making a truly wide-bandwidth stereo cartridge that nonetheless could withstand the rigors of back-cueing. The DL-103 was a nearly instant success with broadcasters, and its popularity spilled over into the world of domestic audio. You know what's the first thing they teach you in dental school? Don't ever say "Oops!" Even if you stick one of those hooked teeth scrapers through the patient's cheek, you don't say "Oops!" "Don't move!"? Yes. "Oops!"? No. That's the big day-one lesson—and given the cost of medical malpractice insurance today, a damn good one. These are great times for analog, and I'm happy to have played a small part in the revival, but recently the demand for some products has outstripped supply; getting review samples has been next to impossible. I've requested an Audio Research PH7 phono preamplifier for literally years now, but ARC can't build them fast enough, so they don't need a review. The more they sell, the greater the buzz, and the greater the buzz, the more e-mails I get from readers asking for a review. It's not nice to not be needed. The ceiling remains, but the floor has changed: Benz-Micro continues to offer a selection of rather expensive phono cartridges, including their well-established LP Ebony ($4700) and Ruby 3 ($3000) models. 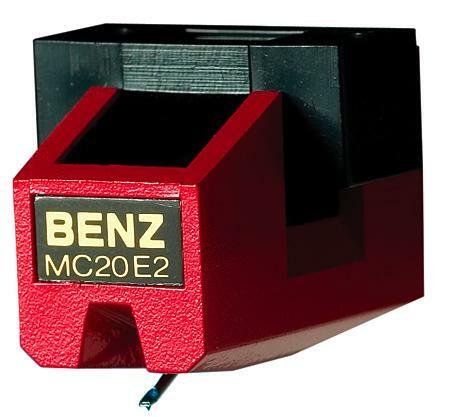 But in recent years, my attention has been drawn by the succession of budget Benzes: first, the Gliders ($795), then the ACEs ($550), and now the MC20E2-L ($199). 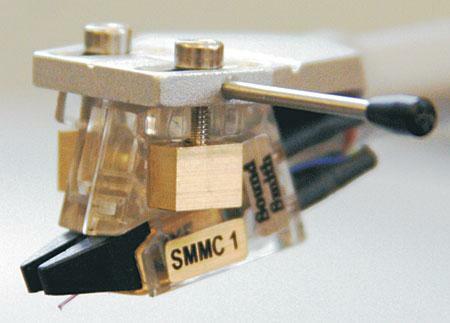 Scan-Tech builds low-output moving-coil cartridges for a number of companies, including AudioQuest, Linn, and Spectral (footnote 1). It also markets its own line, under the Lyra brand name (Lydian, Clavis, Parnassus), which is imported and distributed by Immedia out of Berkeley, CA. If you think I burned out cartridge-wise at the end of my and JE's It's A Mad Mad Mad Mad World cartridge survey at the beginning of the year (Vol.18 Nos.1 & 2), you're wrong. If you think I ought to burn out and give it a rest, you'll be disappointed. If you think analog doesn't matter anymore, you have my semi-sincere condolences. But if you think, as I do, that analog is enjoying a resurgence of epic proportions (twilight or no), and that LP playback has reached a new zenith of musical wonder, then hang on—here I go again! Every two or three years my family and I travel to Disney World in Orlando, Florida—one of those places I used to think I'd hate, but which I always enjoy in spite of myself. No such trip would be complete without visiting the Mitsukoshi department store at Epcot Center, which represents the pinnacle of Japanese consumer culture. At the Epcot Mitsukoshi store—the 430-year-old company's only US location—one can buy the finest of everything, including the rarest and most expensive writing papers and inks, the most exquisitely crafted pottery, and the loveliest freshwater pearls on Earth. Young shoppers are accommodated with the latest toys, trends, and technology—but there's nothing frantic or cheap about the manner in which they're offered. The watchword at Mitsukoshi is quality, and the presentation borders on being artistic. A.J. 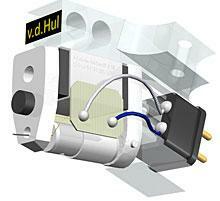 van den Hul calls the Black Beauty a phono cartridge "just for friends." In a way, this Black Beauty was made specially for me—it's been tweaked for an undamped linear-tracking arm. Says so right here on the box: "Forsell Version." But before you explode, know that Mr. van den Hul will be pleased to do the same for you. He'll adjust the suspension of any Black Beauty– or Grasshopper-series cartridge for your arm and 'table. Or, should you specify, for "the preamp and load impedance, a particular brand of records to be played, the type of music generally played (jazz being more dynamic and classical more spacious and detailed), and other personal/sound preferences." 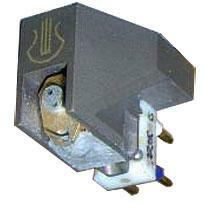 Back in 2000, when Lyra introduced the Helikon moving-coil cartridge, which replaced the then six-year-old Clavis D.C., the company inexplicably retained the Clavis D.C.'s retail price of $2000. This was inexplicable because the Helikon's revolutionary design was new from the ground up, and because audiophiles—like most, if not all, consumers—perceive price to be a reflection of quality and performance. 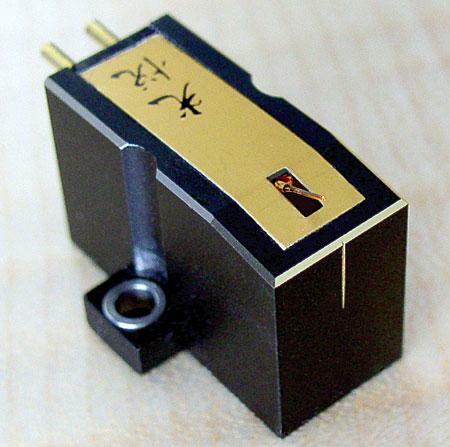 Among the more intriguing audio-related announcements this year was that Koetsu phono cartridges were once again available in the States. In fact, they're being handmade in limited quantities by the sons of founder Yoshiaki Sugano. I see a pattern taking shape: Roy Gandy's Rega Research offered their first CD player in 1996, which was 13 years after the medium was introduced to the public. 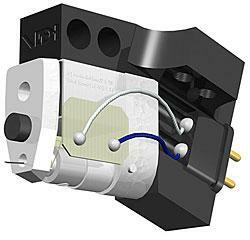 Now, in 2006, some 50 years after Joe Grado designed and sold the first moving-coil phono cartridges, Rega has released one of those. The year 2016 may see the first Rega fluoroscope, or perhaps wire recorder. And it'll be a good one, I'm sure. 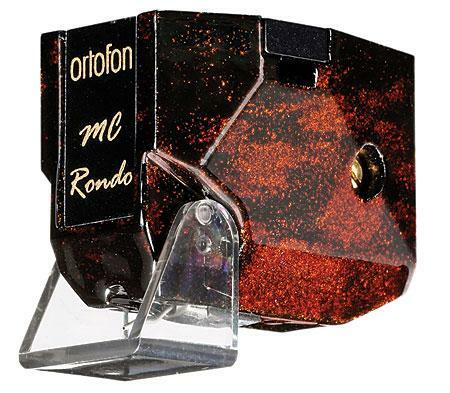 The Ortofon MC-2000 may just have been the most impractical cartridge to be unleashed upon the audio community for some years. 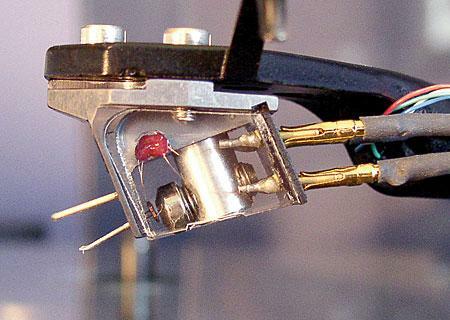 With a high compliance (20cu) that made it ill-suited for most tonearms, it also had a preposterously low signal output of 50 microvolts, which gave new meaning to the terms hum and noise. Few MC preamps had enough gain to deliver adequate driving voltage to a system, and none of those that did had low enough noise to be usable with the 2000. If the problem wasn't hum, it was hiss; if hiss was acceptably low, there would be too much hum. 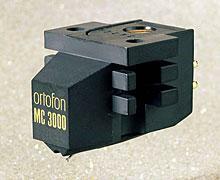 At least Ortofon had the sense to be aware of the problem and to do something about it, in the form of their T-2000 step-up transformer, which is the only device I ever found that would allow the cartridge to be operated without a constant background of hum or hiss. Despite all this, I have used the MC-2000 as my reference cartridge for the last two years. Why? Because of all the cartridges I've tried, it is by far the most accurate. Some six or so years ago, the Linn Asak cartridge set new standards for imaging and soundstage reproduction. I can remember the first time I heard an Asak in a system using Quad ESL-63s—I had never experienced such depth of soundstage and solidity of imaging from any system, and that with Quad amplification! The Asak was relatively quickly overshadowed in this area, however, and in any case, soundstaging precision by itself didn't seem to be a high priority for the Linn design team, who were apparently more concerned with dynamics and a musical integration of the sound across the frequency range.